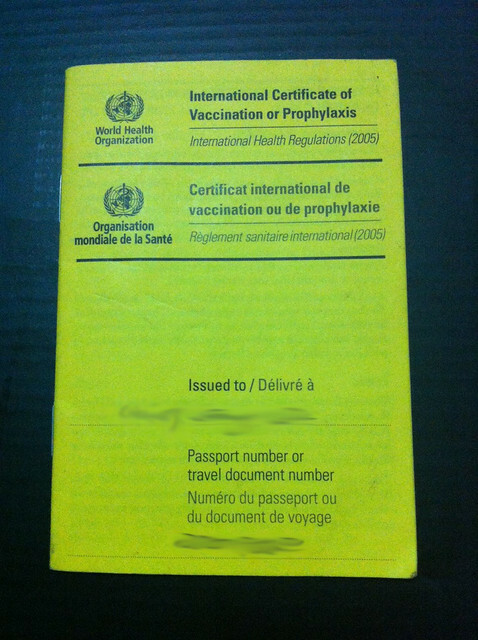 Part of the requirements to apply for Ethiopian visa is the yellow fever vaccination. 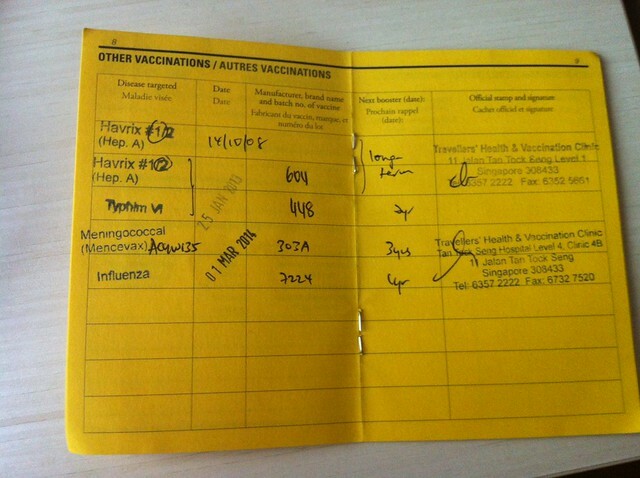 Travellers’ Health and Vaccination Clinic at Tan Tock Seng Hospital is one of the places where one could get the vaccine. We needed to make an appointment before hand and we chose ours to be on a Saturday. After registration, we were given forms to fill up. The forms asked for details such as medical history and places visited. After filling up the forms, the nurse called us into the room for consultation. 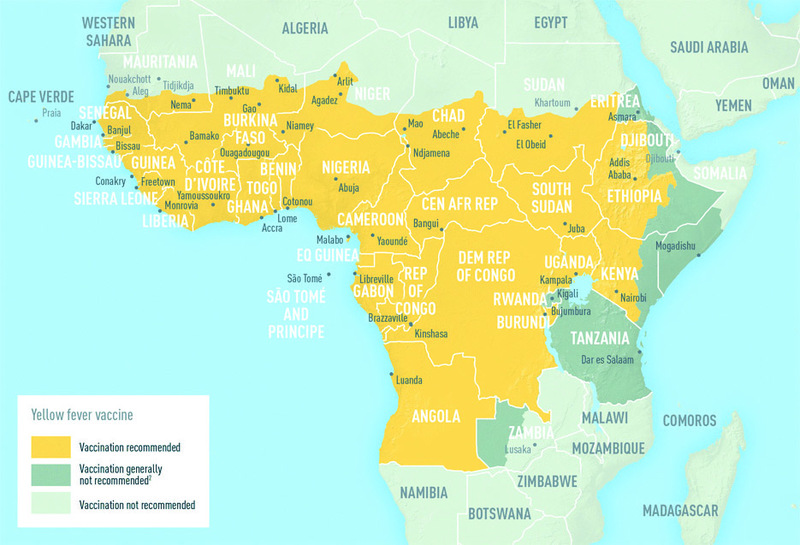 She explained to us why it was necessary to get vaccinations and showed us the areas affected by yellow fever. She also recommended us the vaccinations to take. 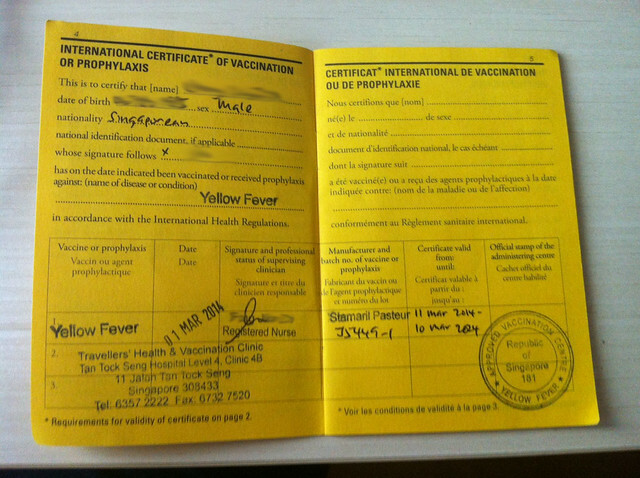 I got three jabs – yellow fever, influenza and meningitis while Ying got two (she had influenza jab already). The jabs were administered in another room and we were done in five minutes. 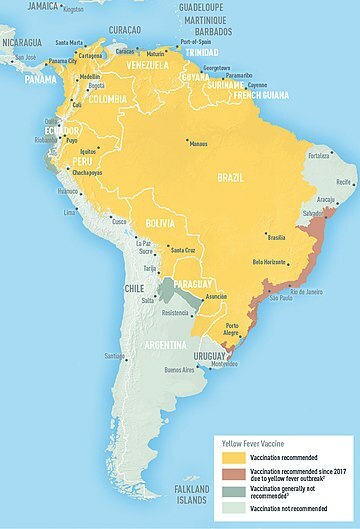 We had our certificate stamped and we are now good to visit South America and Africa. Total cost inclusive of consultation: SGD 228. Ouch! Beside the vaccinations, the nurse also advised us to get some diamox as precaution for acute mountain sickness. 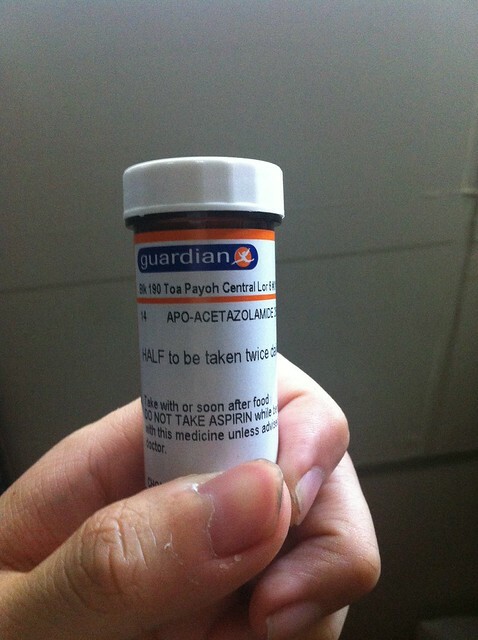 It required doctor prescription and two week’s supply cost SGD 5.60. This entry was posted in Planning and tagged acetazolamide, acute mountain sickness, meningitis, vaccination, yellow fever. Bookmark the permalink.